The Halloween costumes are finally in the works! No better way to celebrate Halloween season in Disney World than by dressing up....all week long! 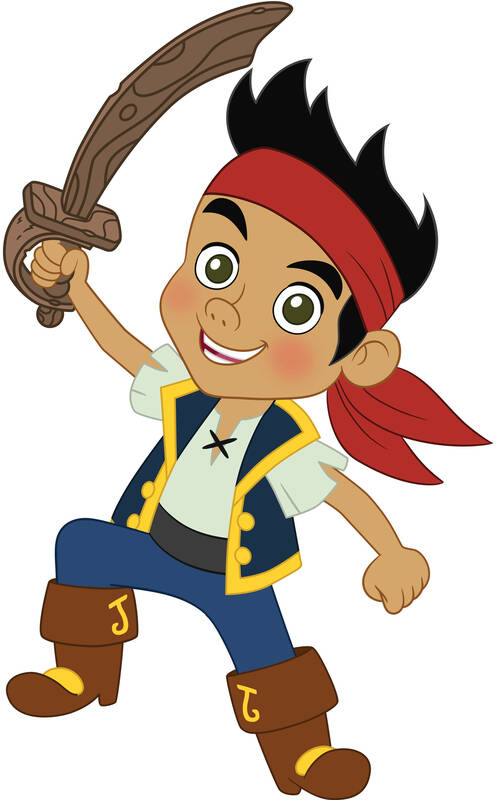 With our trip rapidly approaching, I have finally gotten the motivation to start working on our costumes. The first ones to get one were Jake and Tinkerbell! 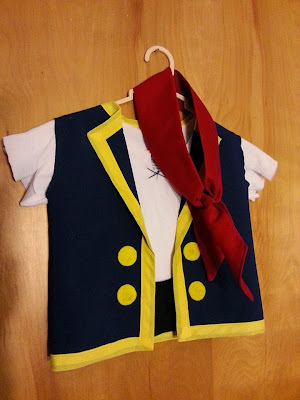 For Charlie's Jake costume, I bought 1/2 yard of navy blue suiting fabric and yellow double fold bias tape for the vest, then used a white under shirt and blue pants for the rest of the outfit. I had red fabric and yellow felt from another project for the bandana and vest buttons. I used this tutorial to help me figure out the vest, which after a little trial and error, wasn't too tough. The yellow bias tape finished off all the outer edges and then I took a lighter and (carefully!!) burned the edges of the arm holes. Suiting fabric is synthetic, so the edge melts to a nice, no sew finish. I wish I had a picture of Charlie in his costume, but he didn't nap today and threw a royal hissy fit when I tried to put it on him. You get the idea. All together, with coupons, it came to about $4. Not too shabby for a costume that is $20-$25 in the store! 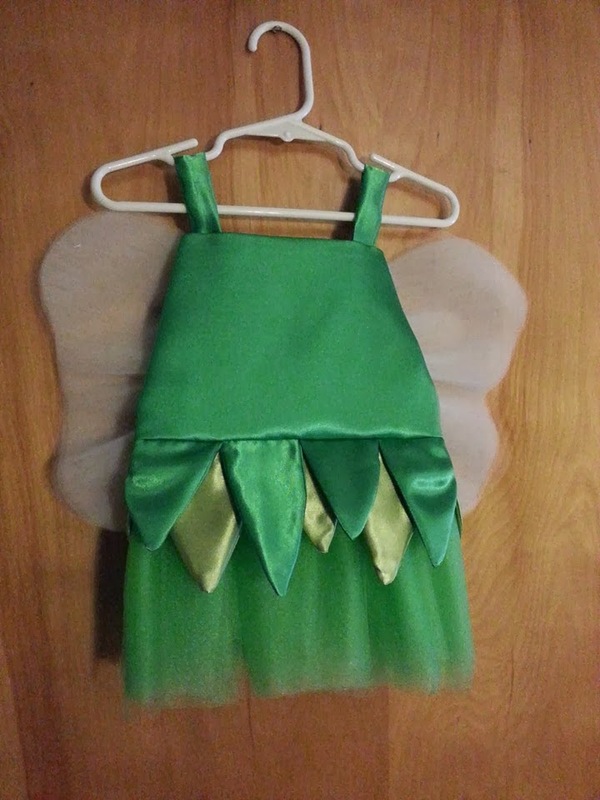 Ginny's Tinkerbell costume was a little bit more complicated, but it was worth it. I based the look off of this tutorial, but mostly winged it (pardon the fairy humor). 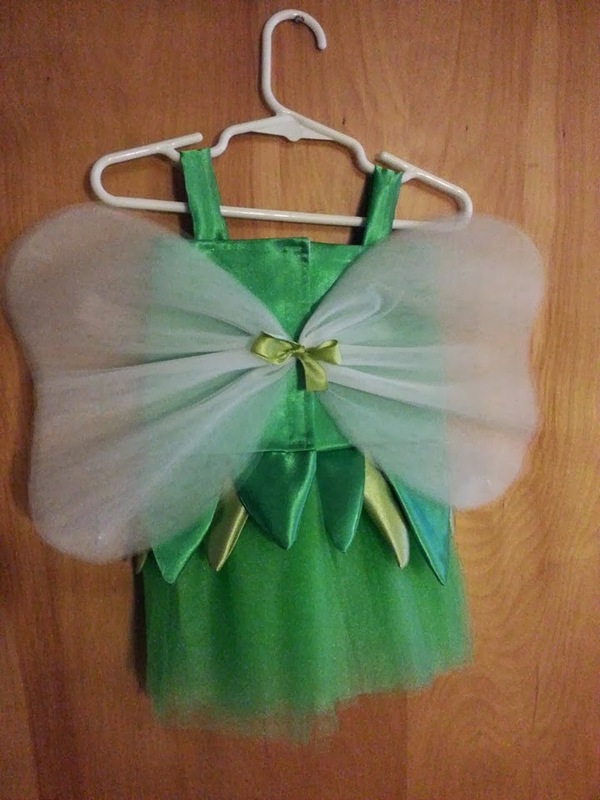 For this costume, I purchased 1/4" yard bright green sparkly costume satin, 1/4" yard olive green sparkly costume satin, 1 1/2 yards of green tulle, and 1 1/2 yards of white tulle. I love how tiny costumes need such little fabric! I'm still not sure about the straps. She's going to wear this over a white onesie (long sleeve or short sleeve, depending on the weather), so I don't know if she needs straps. We'll see. Its fairly plain on the front, but I was afraid that if I added too much, she'd try to eat it. She goes after the tulle skirt enough as it is! This costume cost about $8 to make thanks to coupons and sales. Can't beat it! And here is my tiny Tink trying on her costume. Still to go are Luke and Leia costumes (including bun ear muffs!) for the kids and Disney marathon inspired princess dresses for me. I can't wait!